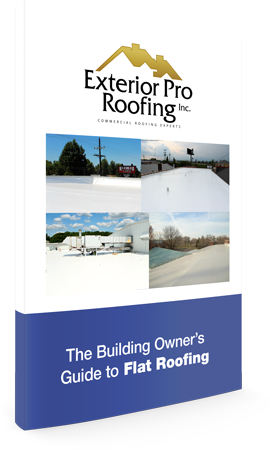 Metal Roof Recover with Rhino Bond! Description of Work: The Toyota dealership in Madison, IN is expanding in size and upgrading the showroom and facade of the building. The owner knew it was the right time to address all the leaks and damage in the existing metal roof. 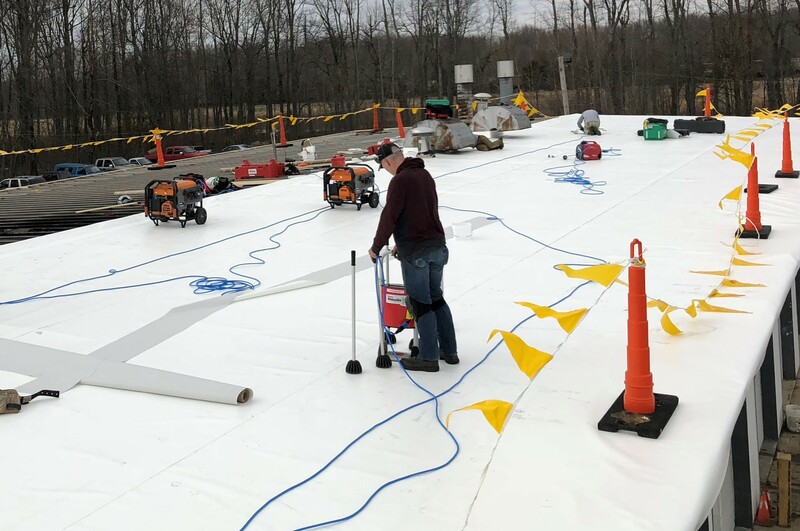 After looking at several metal roof repair opinions, he decided that a metal roof recover using a PVC membrane was the right fit for his project. 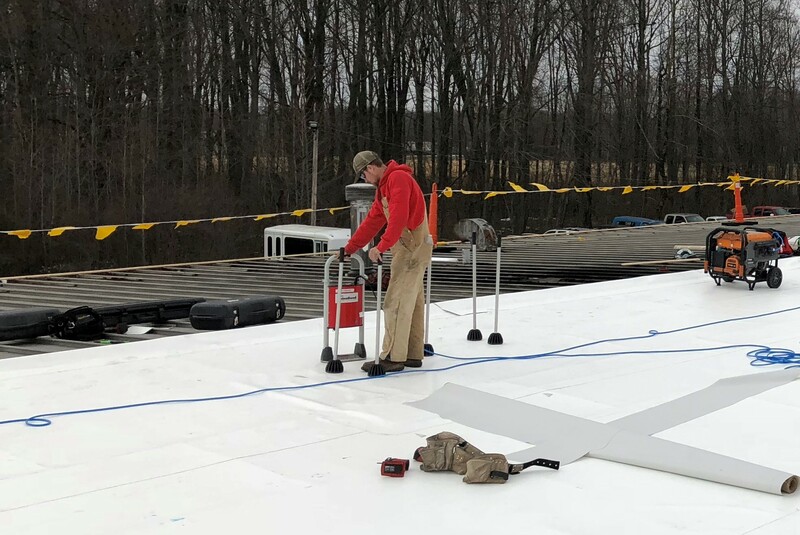 We here at Exterior Pro Roofing, we are experts at his particular type of metal roof repair, so we were able to keep the building operational during the entire process! 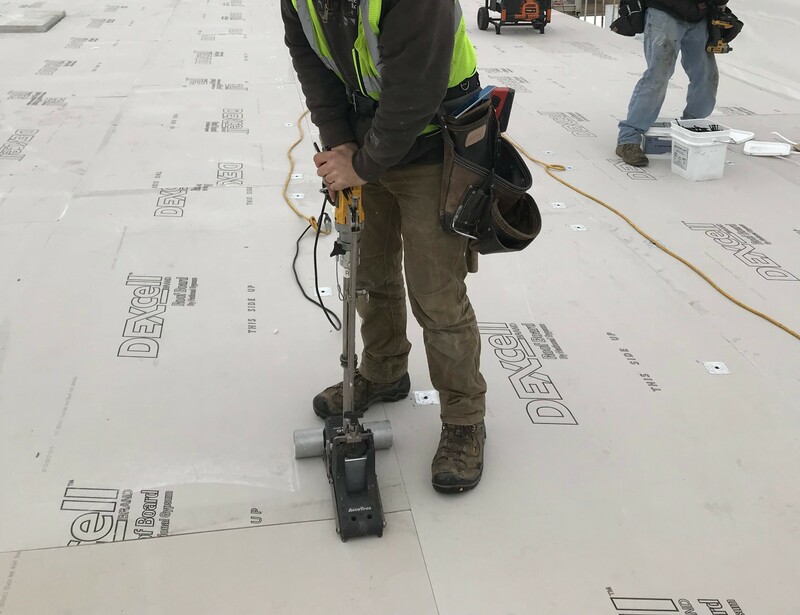 The crew used a 2" tall piece of insulation to fill the pan of the existing meta roof up to the top of the rib, then covered the entire surface with a ridge 4 x 8 piece of roof insulation. The next step was to roll out the PVC membrane and the hot air weld up the seams. Then all that's left was to put the custom stack flashing on. As part of this roofing project Exterior Pro also fabricated a new box style gutter designed with a back flange specifically for this type of metal roof repair.